Meghan Markle may be the envy of all the women right now but there are quite a few new fashion rules she’s going to have to acquaint herself with. Here are five fashion rules the members of the royal family have to follow. 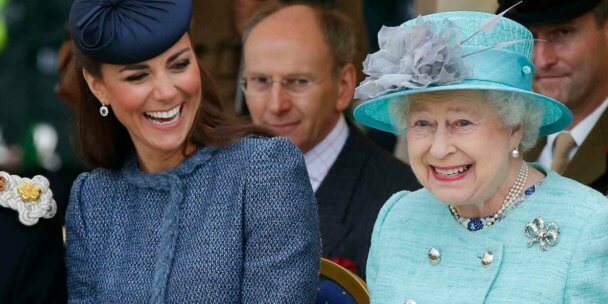 Apparently the Queen doesn’t like the style much and the women in the family are all aware. While you can choose to wear them like Kate Middleton sometimes does, it can only be worn outside the presence of the queen. Tiaras are worn only to the most fancy of royal events and they’re worn for the first time by brides. Kate Middleton borrowed Queen Elizabeth’s tiara for her wedding to Prince William in 2011, and she’s worn Princess Diana’s tiara on several occasions. But it’s a privilege reserved for married women only, single women and children never wear them as it signals the crowning of love and loss of innocence to marriage. Say bye bye to those long, bright pink extensions. You’re either to wear subtle pinks or clear polish when on official business because only natural-looking nails are allowed at royal events. It’s a tradition that the Queen needs to approve the final version of a royal wedding dress. Apparently, Queen Elizabeth had to approve of Kate Middleton’s Alexander McQueen gown in 2011, and she’ll do the same with Meghan Markle’s dress for her wedding to Prince Harry. Members of the royal family are expected to travel with a spare black outfit always in case a member of the family dies. This way, when they arrive back in the U.K., they are dressed appropriately to fit the somber occasion.